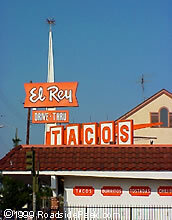 Here's an old taco stand for El Rey Tacos. 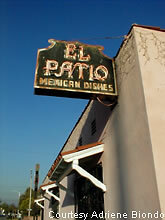 The El Patio restaurant features some real authentic Mexican food. Unfortunately this place may be on its last legs. 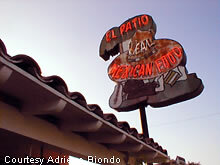 Here's a look at a couple of the marquees that adorn this vintage Mexican food restaurant in Azusa. 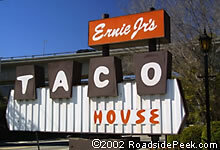 Here's an old 60's or 70's sign for Ernie's Mexican Restaurant. 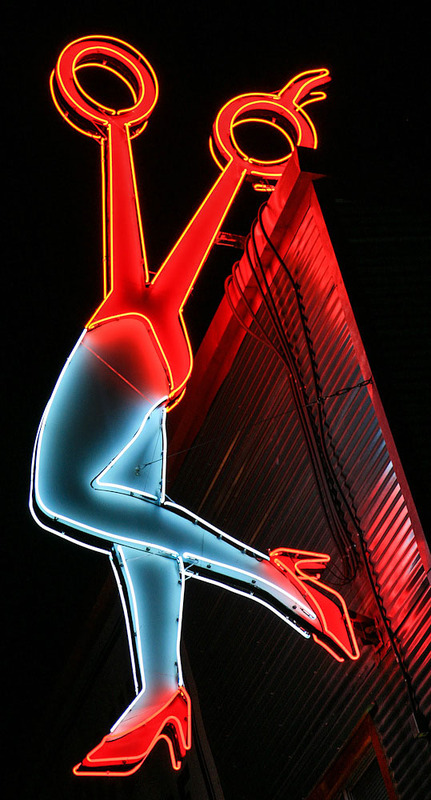 Check out the lantern on top of the marquee, quite typical for signage from this era. Interested in grabbing a good taco from a taco house? Then check out Ernie Jr's, no relation to Ernie's to the far left. 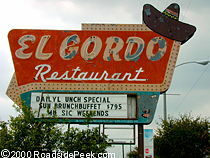 The El Gordo Restaurant marquee features a sombrero as part of its sign. Can't get much more authentic than this.